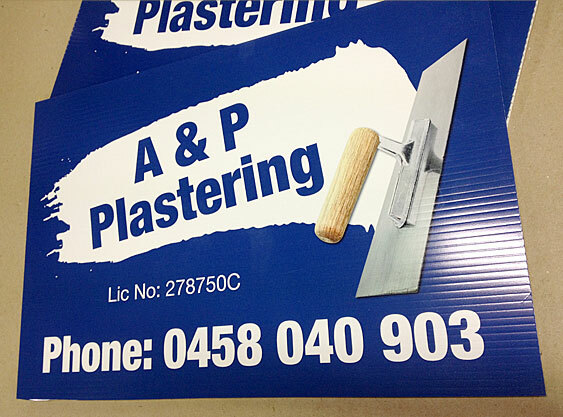 We have all your signage needs covered including aluprim, corflute, foam board or A-frame. Installation is also part of our service. Just a short note to thank you for your service yesterday. I phoned in the morning & spoke with Paul at your office on the off-chance we were able to order 300 business cards before the weekend. The cards were received yesterday afternoon before close of business.